Your team plays against all the others in your group, and then it goes into an elimination tournament’s semifinals and then the final to win the cup. There was also a hidden feature in the game, which wasn’t documented, and affects a single player game. 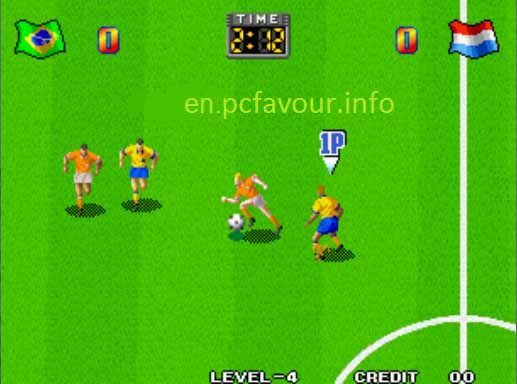 During a free kick for the CPU if the player has tapped button A for player two, the cpu performed a short-shot, while pressing the button A performed a longer kick. One noted mistake was that Spain’s kit would actually resemble Portugal’s. Portugal would not be in the game until Super Sidekicks 3. On release, Famicom Tsūshin scored the game 25 out of 40. Moreover, you can change them from Game>Redifine Keys> Redifine Keys Player 1. Now you are ready to enjoy the football or soccer action of Super Sidekicks game on your PC.